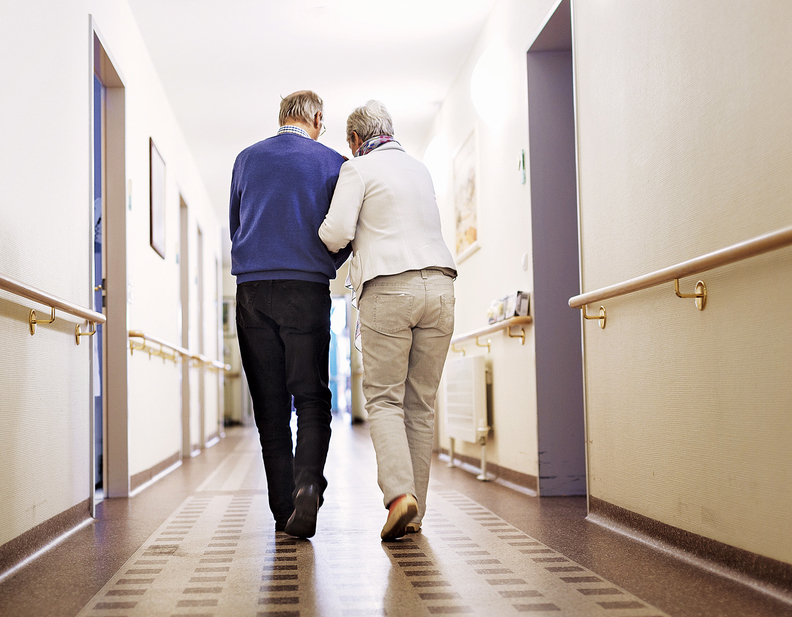 Post-acute care providers are attracting interest from private equity firms as potentially lucrative long-term investment plays, while real estate investment trusts pull away from the slumping healthcare segment. Private equity firms have traditionally stayed away from the healthcare provider space, but several factors, such as the rapidly aging baby boomer population, are attracting them to the industry. And real estate investment trusts, which have long been the major players in post-acute facility ownership, are willingly selling their assets to the equity firms as they fail to get a return on investment from struggling skilled-nursing facilities and senior housing operators. “When you think about private equity funds, their objective is to invest in the long term—they are looking at healthcare real estate as another bucket to invest in,” and at depressed values, post-acute looks attractive to more patient investors, said Britton Costa, director in Fitch's corporates group and author of a recent report describing the trend. Some of the most recent large deals in the sector support that belief. In April 2017, the Blackstone Group acquired 26 properties owned by Senior Lifestyle from the REIT Welltower for $745 million. Then in October 2017, Kindred Healthcare, which has several REIT agreements, sold its skilled-nursing facility arm to BlueMountain Capital Management for $700 million. The firms are lured to invest in post-acute properties even as the providers struggle financially. Post-acute providers have been hit by the transition to value-based care by hospitals. Hospitals, ankle deep in value-based reimbursement, are becoming more averse to discharging patients in those facilities for quality reasons if sending the patient home is at all an option. Moreover, SNFs are vulnerable to unpredictable and low reimbursement from Medicare and Medicaid when both programs are trying to cut spending. At the same time, senior housing facilities, which are typically paid through personal income, have suffered from low occupancy. The senior housing space has exploded in recent years to anticipate the retirement boom, but the bulk of the boomers haven't entered retirement yet. “We are simply at a point in time where there is a mismatch; the supply came before the country needed it,” Costa said. The demand will eventually meet the supply as the silver tsunami continues to break, he said. Any rebound that comes won't be quick enough for REIT owners of post-acute facilities. The quarterly performance pressure on REITs, which are generally publicly traded, is leading them to trim back on their healthcare exposure. “Right out of the gate, REITs have to generate cash flow effectively,” said Steven Shill, assurance partner and national leader of the BDO Center for Healthcare Excellence & Innovation. Many of the REIT-owned healthcare properties were bought at competitively high prices with borrowed money, meaning they may have big paper losses. For instance, the REIT Welltower fell short of earnings expectations by more than half in the second quarter, reporting $0.41 earnings per share, missing estimates of $0.99 earnings per share. “They are looking at the aging demographics and the increasing incentives for care to occur in lower-cost settings, and how that should provide fairly durable rental income over the long-term,” Costa said. Kevin Brown, a REIT equity analyst for Morningstar, also is expecting a rebound in values, even for the REITs themselves. “The healthcare REITs have traded off in 2018 due to supply issues impacting senior housing operations in the short term, but there is evidence that supply is decreasing, and we expect there to be a significant demand wave positively impacting the sector over the next decade,” Brown recently wrote. The senior housing space is still more attractive to private equity firms than SNFs, however, Shill said. Unlike SNFs, senior housing facilities don't have to worry about the unpredictability associated with changing Medicare reimbursement rates along with the transition to value-based care. “There is a bigger interest in senior housing,” Shill said. There are private investors buying SNFs from REITs, but they usually also take over the operations so they have the ability to be innovative and fix issues, said Jason Dopoulos, senior managing director with financial advisory firm Lancaster Pollard. “Private equity wants to own the operator and fix the return hurdles,” which even for SNFs is not insurmountable, he said.